Divorce mediation has become not only much more common over the last several decades but, in many cases, it has become the preferred choice of partners who have chosen to end their married relationship. More couples are showing a preference for not entering into the more traditional court-centered divorce process, but opting instead to resolve the terms of their divorce in a more cooperative way. If you find yourself in such a place and you live in the Chanhassen, Minnesota area, consider reaching out to Johnson Mediation for more information about how divorce mediation might work for you. The caring professionals of Johnson Mediation can help you decide whether or not you can benefit from divorce mediation. And, if you decide to pursue mediated divorce, we can provide you with the support, guidance, and clarity that you need to take your next steps. We pride ourselves on the honesty that informs our conversations with all clients. Ultimately, we want what is best for you, your partner, and your children and we are confident that we can help you make the choices that are best for all who are affected by your relationship. Deciding to pursue mediated divorce can be difficult, even for partners who know that their relationship cannot last. The nature of our work is to provide you with that crucial component of third-party neutrality and provide information that’s based on our years of experience and knowledge of Minnesota divorce law so that you and your partner can be empowered to resolve all the terms of your divorce settlement, including the division of property, debt and assets, child/spousal support payments, and the development of a parenting plan (custody agreement). Divorce is always difficult, but we can help you get through it with greater ease, less stress and without a huge financial impact. Mediation allows you and your divorcing spouse to work together to put a plan in place that will help your entire family move forward in the most healthy and positive way possible. It also lays a strong foundation for the evolution of your relationship, which in many cases does not end just because divorce papers have been signed. If you have children together, you will need to co-parent for many years to come and mediation services can help you at any point during or even after a divorce. The professional divorce mediators at Johnson Mediation can help you make the best decisions for you and your family. If divorce is the best solution for you and your partner, we have the training, experience, and expertise to expedite the process. 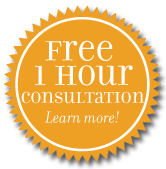 Give us a call at 952-401-7599 and we’ll be happy to schedule a free consultation for you.